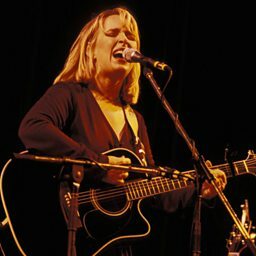 Matraca Maria Berg (born February 3, 1964 in Nashville, Tennessee) is an American country music singer and songwriter. She has released five albums: three for RCA Nashville, one for Rising Tide Records and one for Dualtone Records, and has charted in the top 40 of the U.S. Billboard country charts with "Baby, Walk On" and "The Things You Left Undone," both at No. 36. Besides most of her own material, Berg has written hits for T.G. Sheppard, Karen Brooks, Trisha Yearwood, Deana Carter, Patty Loveless, Kenny Chesney and others. In 2008 she was inducted into the Nashville Songwriters Hall of Fame and in 2018 she received the Poet's Award from the Academy of Country Music Awards.